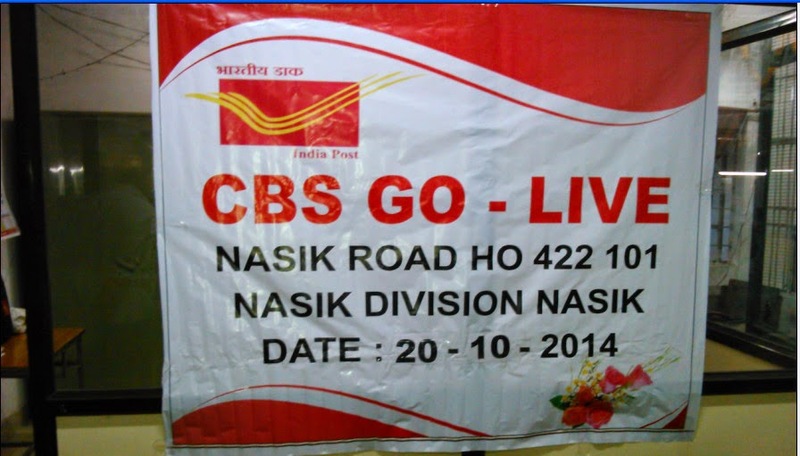 CBS Go live migration of Head Post Office Nashik Road HO-422101, Nashik Division, Aurangabad Region, Maharashtra Circle on dated 20/10/2014. 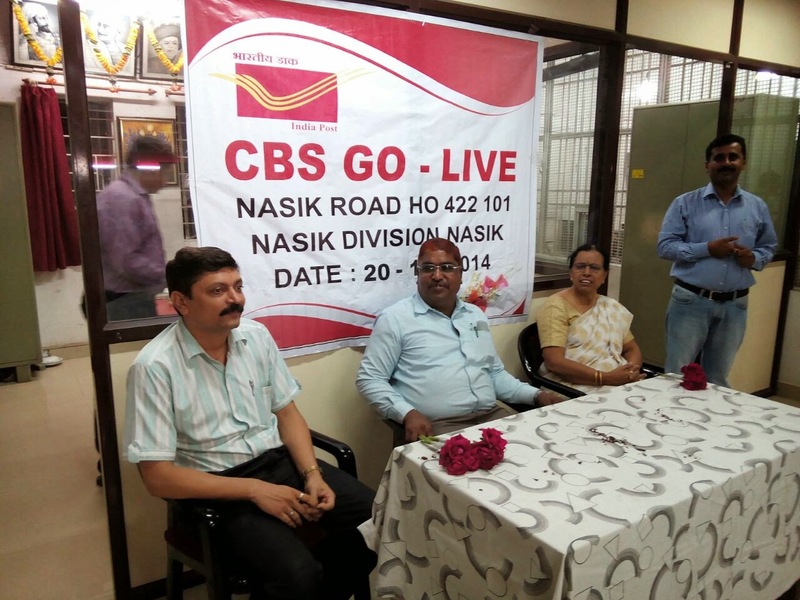 Inauguration done by Shri N S Wankhede SSPO's Nashik Division and Shri P B Kulkarni (ASP HQ) in the presence of Postmaster Nashik Road HO Smt. 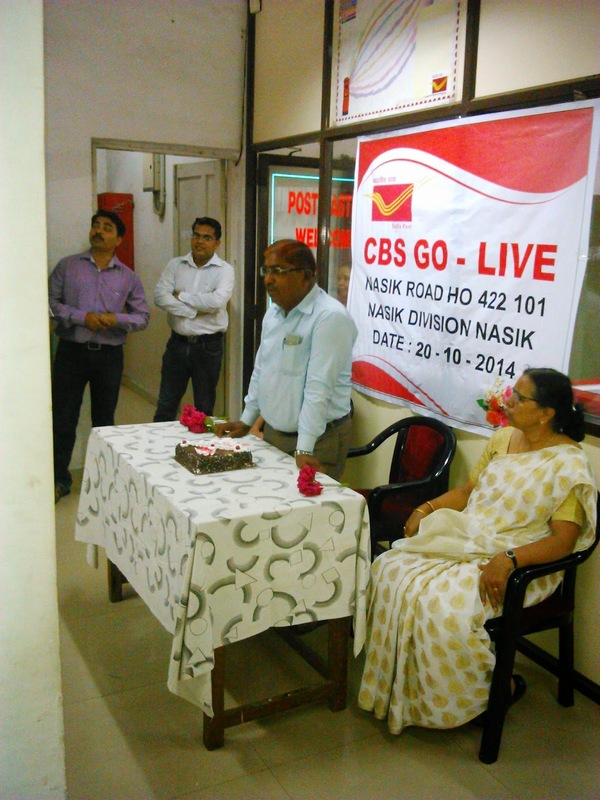 Bharati Khadilkar, System administrators Shri. 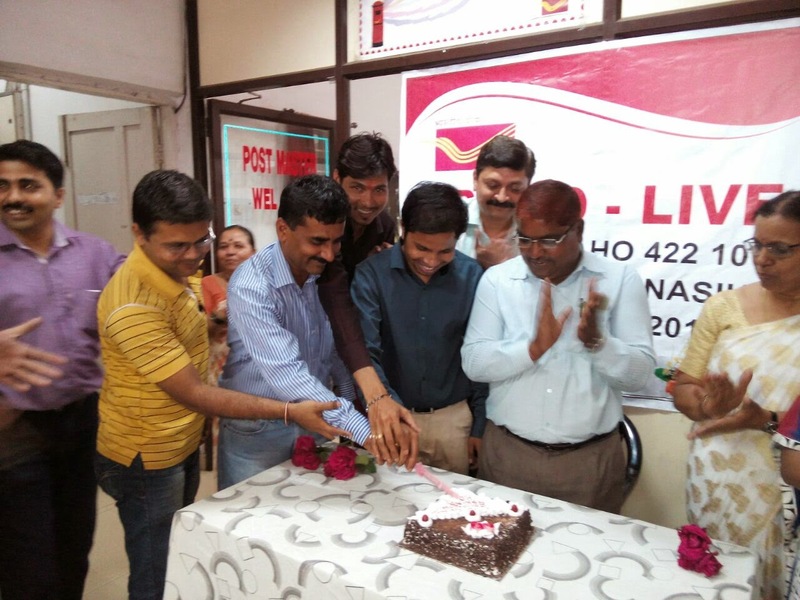 K L Varpe, Subhash Jawade, Prashant Mandavgade, Yogesh Shinganapurkar System Administrator Nashik HO, and other office staff with great pleasure.